The Datsun brand, which was relaunched in India in 2014, hasn't taken off for parent company Nissan, which, at that time, had growing aspirations of acquiring an 8 percent market share in India and was counting on the low-cost brand to crack into the A- and B- segments. Fast forward to 2018, Nissan's local market share has fallen to 1.6 percent in fiscal 2018, where industry sales were 3.28 million passenger vehicles, from 1.8 percent in fiscal 2015. A facelift for the Datsun Go and Go Plus is expected in India in late September. I have an obligation to bring a sense of Japan but the spirit of the company it is sold in. We are redoing Datsun, yes. It is a natural evolution of platform. Nissan is also changing platforms. This stuff you'll start to see in the next 2 years. Regulation and safety is a major driver of the platform to be renewed. Also, opportunity to consider new segments with the brand. You will see this a few years down. You will say that is a big change. It is time to move. We have minor changes coming soon. Datsun is expected to launch the Cross in the Indian market this financial year, reportedly riding on the CMF-A+ platform. The minor changes in question are the facelifts for the Datsun Go and Datsun Go Plus which are expected in India in late September as per reports. The facelifts see minor exterior but comprehensive interior changes with talk of ABS and driver airbag being standardized on the Go and Go Plus. The platform shift that Albaisa talks about is reported to be the move to the CMF-A+, a longer wider version of the redi-Go's base. 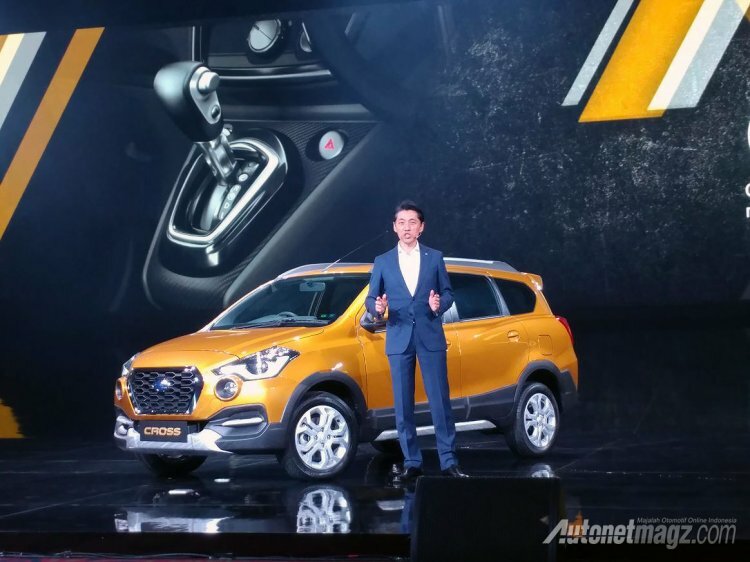 Datsun has confirmed that it will introduce a budget crossover as its next product, and reports say that the vehicle would be the first Datsun to ride on the new underpinning that offers better crash protection.